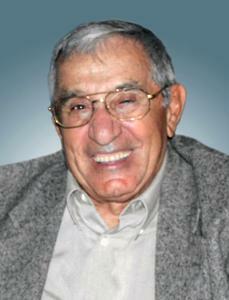 Philip J. Litrenta, Sr. passed away peacefully on Saturday, April 21st at Ridgewood Care Center at the age of 90. Philip was born on October 27th, 1927 to Anthony (Tony) and Sophie (Romano) Litrenta. He lived in Racine his entire life, his childhood days, living on Blake Ave., where many lasting friendships were formed. At the age of 17 Philip joined the United States Navy and proudly served his country during World War II stationed in Guam. On April 16, 2016 Philip was privileged to board the Stars and Stripes Honor Flight. That day was an experience of a lifetime for Phil, and a day his family was again so proud of the man we knew as dad and Pa.
After his military discharge Phil returned home, completed his high school education and joined his father, uncle and other relatives working at Belle City Malleable, later renamed Racine Steel Castings. He worked at Racine Steel Castings for more than 40 years retiring on May 1, 1992. It was there he was introduced to a girl working in the cafeteria who caught his eye, her name, Delores Nelson. On Oct 1, 1949 Phil married that girl. They were blessed with 49 wonderful years until Delores passed on Nov. 2, 1998. Philip leaves to cherish his memory, his daughter and son in law, Linda (Jim) Finnigan, his sons and daughters in law, Philip "P.J." (Linda) and Danny (Kim) Litrenta all of Racine, his grandchildren, who affectionally referred to him as Pa, Mike (Carla) Litrenta of Charlotte, N.C.; Katie Litrenta (Joshua Jenkins) of Sarasota, Fl., Tony Litrenta, Luke Cunningham, Sara (Aaron) Zabel all of Racine. With many fond memories of their Pa, Phil also leaves his three beautiful great granddaughters, Hailey, Hannah and Alaina Zabel. His sisters-in-law and brother-in-law Sherry (Lou) Peccarelli and Helen Nelson also survive Phil, as well as many nieces, nephews and cousins too numerous to mention. Besides his parents and wife, Delores, Phil will be greeted at heavens gate by his sweet infant great granddaughter, Alessandra Rose Litrenta, his sister, Mary Reed as well as sisters-in-law and brothers-in-law Clarice (Robert) Christoffersen, Lois (Leon) Wickersham and Allen "Bud" Nelson. Phil was a dedicated family man who always put family first. There was not a sporting event, Christmas concert, graduation or dance recital where Pa was not front row. Phil enjoyed holiday traditions as well as hosting last minute family gatherings at one of his favorite restaurants. These events will be sorely missed. Phil was a long time member of Sacred Heart Catholic Church. Phil was also a proud member of Roma Lodge. He served as president of the Racine Italian Welfare Association for many years. Phil loved his lodge and continued to volunteer his time whenever possible. He especially enjoyed working Bingo on Thursdays!! Phil's one and only hobby was golf, golf and more golf!!! Phil still enjoyed playing a 9 hole round of golf with the Roma Lodge Golf Group, he also enjoyed watching golf on T.V. (especially the seniors) but his absolute favorite was Sunday mornings at Johnsons Park watching his 2 sons and their golf group tee off on the first hole!! Many laughs were enjoyed by all!!!! For those who wish to honor this man A Mass of Christian Burial will be celebrated on Friday, May 4th, 2018 at 11:00 A.M. at Sacred Heart Catholic Church, 2201 Northwestern Ave. with Rev. Ricardo Martin officiating. Entombment with Full Military Honors to follow at Holy Cross Garden Mausoleum, Highway 32. Family and friends may meet with Phil's family at the church on Friday from 9:00 A.M. until 10:30 A.M. with the Roma Lodge Service at 10:30 A.M. The family has suggested memorials in Phil's honor be directed to Kindermourn 1320 Harding Place Charlotte, N.C. This nonprofit organization helps bereaved parents and grieving children find hope when dealing with the loss of a loved one. The Litrenta family is especially gratefully to this organization for the love and support given to two of their own. Our family would like to thank Phil's friends for their frequent visits to Ridgewood. You were a ray of sunshine on a gloomy day. Our family would also like to extend a heartfelt thank you to all of Phil's care givers at Ridgewood. You are truly God's angels on earth. We thank you for the care, the compassion and the love given to our dad and Pa. We will never forget any of you! !